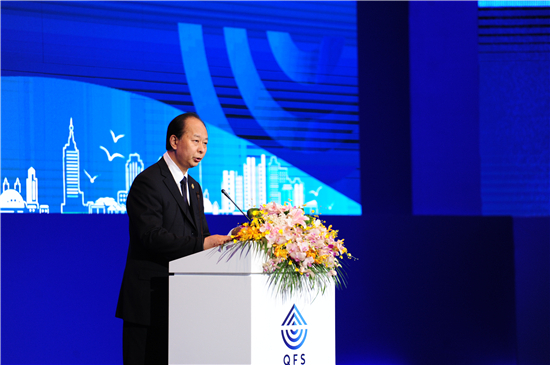 The curtain on the 2017 Qingdao Forum on International Standardization (QFS) was raised on June 27 in the eastern coastal city of Qingdao, Shandong province. More than 400 distinguished guests from domestic and international governments, enterprises, academic communities and standardization organizations took part in the event, including Tian Shihong, head of the Standardization Administration of China, Zhang Xiaogang, president of the International Organization for Standardization (ISO), Qingdao Mayor Meng Fanli, Frans Vreeswijk, secretary general and CEO of the International Electrotechnical Commission and Chaesub Lee, director of ITU’s Telecommunication Standardization Bureau. 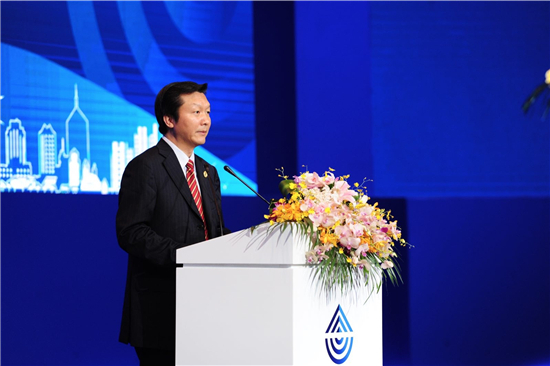 Tian gave a keynote speech at the forum in which he emphasized that standards are the important foundation of harmonious development of the urban economy, society and the environment. Cities are the key to the implementation of strategic sustainable development, while standards are the main technical means to its promotion. Zhang was elected as ISO President for a three-year term beginning on Jan 1, 2015. It is the first time a Chinese person has held the highest leadership position in this organization since the ISO was founded in 1947. In his speech, Zhang said that standards play a vital role in the advancement of human society and ISO standards have become one of the most important tools to meet the world’s challenges, as they help to develop better business, better regulations, and better products and services. Zhang also mentioned that 2017 will be a landmark year for the ISO as it will celebrate its 70th birthday. Within 70 years the ISO has grown from 25 to 163 national standards bodies and its 21,674 standards touch almost all aspects of daily life and are effective for businesses large and small. Through its members, the ISO brings together experts to share knowledge and develop voluntary, consensus-based, market-relevant international standards that support innovation and provide solutions to global challenges.